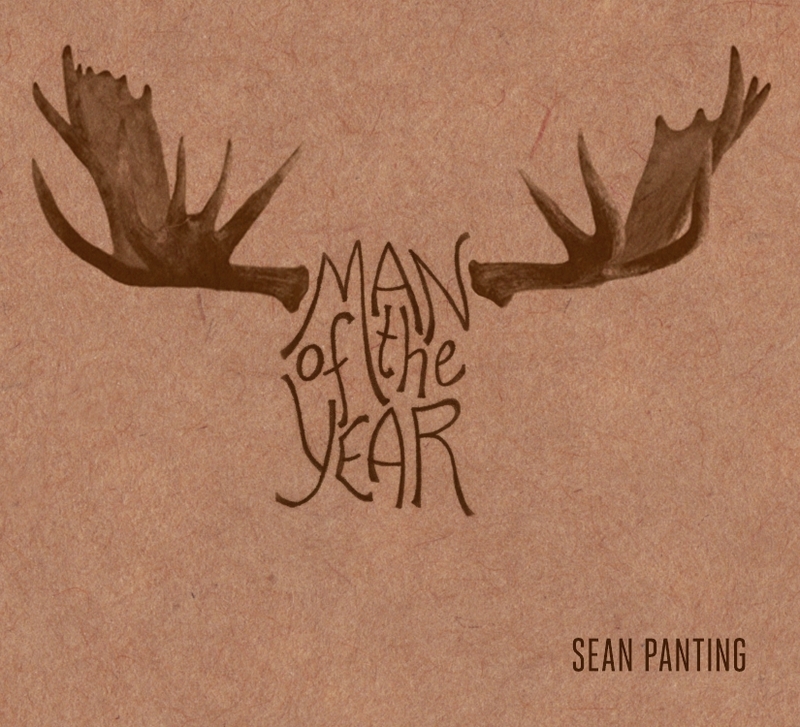 Sean Panting will be celebrating the release of his first album in six years this Thursday, December 1st at the Ship Pub. There will be an acoustic show starting at 8:30 with an opening set by the one and only Katie Baggs. At 10:30 the Panting Band (SP: Vocals and Guitar, Don Ellis: Bass and Adam Staple: Drums) will crank up the Rock n Roll. Music Newfoundland and Labrador is proud to offer its export-ready musicians, managers and company representatives an advanced Export Readiness Training Pitching Workshop on Thursday, October 27th held at the Delta St. John’s Hotel (Bonavista Bay Room) from 10:00 am – 5:00 pm. Learn the skill sets and tools to forward your career in the business of music! This full-day advanced Export Readiness Training Pitching Workshop, facilitated by internationally-acclaimed pitching consultant Jan Miller, is designed for export-ready artists, managers and companies who wish to perfect their presentation and one-on-one pitching techniques while developing relationships with music industry buyers. Learn the components to strengthen your personal communication styles and adapt pitches for conversational, one-on-one business meetings. Participants will take part in an interactive, two-hour session focusing on the elements essential to conducting an effective business meeting through observing live, one-on-one pitch conversations in action. Guest Speakers: Shelley Nordstrom (ECMA Export Manager, Halifax, NS), Jonny Stevens (Halifax Pop Explosion, Halifax, NS) and John Clarke (Musician/ Newfoundland and Labrador Folk Festival). Pre-registration is required. Open to registered conference delegates. 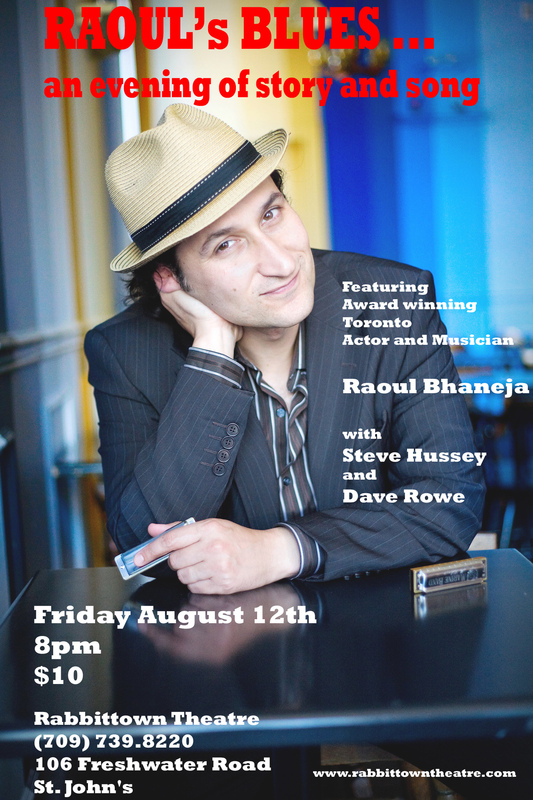 To register, contact gerald@musicnl.ca or Music NL office at (709) 754-2574 (www.musicnl.ca). Deadline Friday Oct 21st, 2011 at 4:30 PM. There are some incredible jazz musicians alive today who astound us with their sound, their originality and their skill. Artists like Wynton Marsalis and Sonny Rollins blow us away, but we should be careful not to forget the people who came before, who laid the groundwork to help jazz develop to what it is today, and who are legends in their own right. One such jazz legend is one of the greatest, if not the greatest, band leader to ever live, Glenn Miller. Son of Lewis and Mattie Lou Miller, Alton Glenn Miller was born in Clarinda, Iowa on March 1st, 1904. Moving from Clarinda to North Platte, Nebraska, and then on to Missouri and Fort Morgan, Colorado, Miller’s musical start came in North Platte around 1914 when his father bought him a mandolin, which – as any good brass player would – he promptly traded for an old horn. In 1916 in Missouri Miller switched – as any good brass player would – to the trombone, and by the time he was going to Fort Morgan High School in Colorado he was practicing almost non-stop, to the point where due to the difficulty of making it in the music business his mother once said “It got to where Pop and I used to wonder if he’d ever amount to anything.” For a time her fears seemed justified; after enrolling at the University of Colorado, but spending more time on the road auditioning and playing gigs, Miller dropped out after failing three out of five courses one semester, deciding instead to focus entirely on his music. After touring with several orchestras, Miller ended up in Los Angeles, in the band of Ben Pollack (playing alongside future fellow band leader Benny Goodman). It was with this group that Miller began distinguishing himself as a composer and arranger, arranging songs for Pollack and co-writing his first original composition, “Room 1411”, with Benny Goodman. After Ben Pollack’s band moved to New York Miller married his high school sweetheart Helen Burger, and in 1934 Miller joined the Dorsey Brothers’ Orchestra, playing with the group for a year. In 1935 Ray Noble approached Miller to assemble a band for him, resulting in the Ray Noble orchestra containing such members as trumpeter Charlie Spivak and saxophonist Bud Freeman. In 1937 Miller decided to break out on his own, and formed his own band. Despite a couple of recordings for Decca and Brunswick, Miller’s band mainly only played a few one night stands and was unable to distinguish themselves among the multitude of big bands at the time. After parting ways at the end of 1937, Miller realized he needed to give his band an original sound, and used a technique he had first developed for the Ray Noble Orchestra of having a clarinet holding the melodic line while the tenor sax plays the same note, supported by the harmonizing of the other three saxophones. This sound, particularly thanks to lead clarinet Wilbur Schwartz, was something completely original that no other band seemed to be able to copy, and in March of 1938 the Glenn Miller Orchestra was born. The Glenn Miller Orchestra’s big break came in 1939 with an engagement at the Glen Island Casino in New Rochelle, New York, where they set an attendance record with an opening night crowd of 1800 listeners. This became a bit of a trend for Miller, attracting the largest dancing crowd in Syracuse history at the New York State Fair, and topping Guy Lombardo’s all time record at the Hershey Park Ballroom in Pennsylvania, capped off by a performance at Carnegie Hall with other greats Paul Whiteman, Fred Waring and, you guessed it, Benny Goodman. The Glenn Miller Orchestra had found mainstream success, and it showed in the charts. Miller had 17 Top 10 hits in 1939, followed by another 31 in 1940, and 11 in each of 1941 and 1942. These hits included such jazz standards as “In The Mood” (the original theme of which was written by Miller himself), “Moonlight Serenade” (written by Miller) and a number of well-known Miller arrangements such as “A String of Pearls”, “Little Brown Jugs”, and “Tuxedo Junction”. This success culminated in two film deals for the band, 1941’s Sun Valley Serenade (which introduced the hit song “Chattanooga Choo Choo”) and 1942’s Orchestra Wives (featuring “(I Got A Gal In) Kalamazoo” and using “At Last” as a motif throughout the movie). With the introduction of the United States to the war in 1942, Miller decided to serve his country in the way he knew best, and convinced military higher-ups to allow him to enlist, eventually taking control of the Army Air Force Band. Miller modernised the group, constructing a 50 piece jazz group with marching band influences, and obtained permission to tour the group around England entertaining the troops. 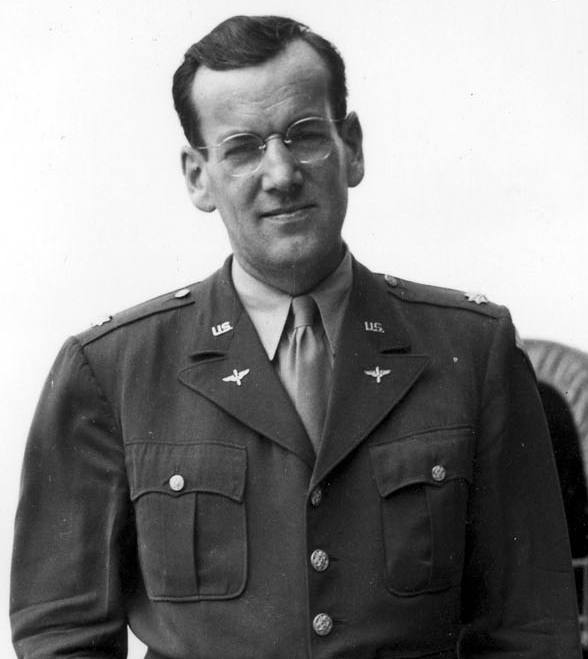 In the span of a little under a year, Glenn Miller’s Army Air Force Band made over 800 performances, including 500 broadcasts heard by millions and over 300 personal performances including concerts and dances. Sadly Miller was absent for the last six months of these activities. Just before Christmas of 1944, the Glenn Miller Army Air Force Band was scheduled to do a six week tour of Europe, operating out of Paris, France at that time. As such, on December 15th, 1944, Miller boarded a flight for Paris to set up the accommodations for his band. This was the last time that Miller was seen alive, and his official status is missing, presumed dead on December 15th, 1944. While it is possible that weather caused the crash, reports suggest that it is possible Miller’s plane was accidentally struck by bombs jettisoned by British aircraft over the English Channel, after returning from an aborted mission. Whatever the cause, that day the world lost one of the greatest musical minds of its time. The impact that Glenn Miller has had on jazz, and music in general, is undeniable. He was awarded the first ever gold record for his recording of “Chattanooga Choo Choo”, and was a charter inductee into the Big Band and Jazz Hall of Fame. Three of his recordings have made their way into the Grammys Hall of Fame: “In The Mood” in 1983, “Moonlight Serenade” in 1991, and “Chattanooga Choo Choo” in 1996. Miller was awarded the Grammy Lifetime Achievement Award in 2003. Miller’s writing and arranging had a very distinct style, which was different from that of the time. Taking some importance away from featuring a solo artist, which many groups would do, Miller focused more on having a precise, tight sound from his entire band, believing that melodies and a perfect background were more important. Many critics criticized Miller for this at the time, claiming that he was straying from real jazz, but in retrospect Miller is widely regarded as one of the best band leaders of all time, creating an incredible sound and showing just how much a band can come together and play as a single entity, a wish that any jazz band player will recognize coming from their conductor. Miller’s iconic tunes are seen as excellent indicators of the music of the time; his songs “In The Mood” and “Moonlight Serenade” are jazz classics, and his recording of “Jukebox Saturday Night” even references notable names of that era, with friendly parodies of Harry James (at that time the trumpet player for the Benny Goodman Big Band and a future band leader himself) and the Ink Spots (an excellent male vocal group of the time – I highly suggest you give them a listen if you’ve never heard them before). The jazz world has a lot to thank Glenn Miller for, not the least of which is the incredible music that we continue to listen to, and will for years to come. In today’s school systems music has become an integral part of the curriculum and a large part of school life itself. Opportunities for students to get a good education in music are endless thanks to the help of well-developed music programs in our schools that provide plenty of instruments for students to learn on. Not to mention that Newfoundland in general is home to some very highly skilled and experienced teachers. Thanks to this system of resources, a child in Newfoundland can very easily get an education of applied study, music history, music theory, and many other aspects of music. However, this marvellous education is centered almost entirely around classical, pop, or concert band music. Other genres, like jazz, it seems have been put on the backburner or deemed unimportant in the process of getting a good musical education. To me, this is very strange indeed. Although classical and big band music are excellent for teaching technique, and pop music can certainly help stimulate a child`s interest in music, jazz also has many things to offer the young budding musician. 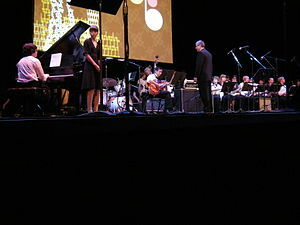 Jazz is a genre very different from any other taught in school systems as it challenges musicians in many areas and provides unique opportunities in performance. Jazz music, no matter what style, offers a player with complex rhythms, the opportunity to learn how to work together with other musicians, and most of all the opportunity to improvise. These are skills that often go completely undeveloped in many musicians because they have never had to deal with situations like these before, however these skills are absolutely essential for someone who wishes pursue music as a career or just as a pastime. Complex rhythms for example are impossible to avoid once you reach a certain level of music, and often when people reach this level they face a very steep learning curve. However if students were taught jazz from an early age, the learning curve would be almost non-existent as these skills would have been developed over many years of practise. Not to mention that simple rhythms then would become second nature, allowing the performer to focus more on technique and musicianship. An education of jazz rhythms, not only in ensembles but in the music curriculum in schools would also make the lives of music teachers much easier as they would not need to spend countless hours of ensemble rehearsals going over simple rhythms. The level of performance throughout a teacher’s ensembles would be very likely to increase. Another daunting task that musicians have to face as they progress is the ability to play with an ensemble. No matter how talented you are and no matter how much you wish to be a solo performer, being able to work with other musicians is a skill that every musician needs to develop. Whether you are playing in a high school band or being accompanied by a single collaborative pianist, it is essential to know how to perform with another musician. In my opinion, jazz teaches this skill better than any other genre because of the intricate part writing which is so common in jazz music. If every single person in a jazz ensemble is not in sync with their counterparts, the piece runs the risk of being a complete train wreck. This forces students to learn to work together with their fellow musicians to pull off a good performance. These skills translate very well over into everyday life as well, as the ability to trust and work together with fellow students, co-workers, etc. is essential in real life. Finally, we come to one of the most crucial components of jazz: improvisation. While a musician probably could get by their entire life without knowing how to improvise, it is still an incredibly valuable skill to have. Not only does it teach musicians an understanding of key and chords, and help them think on their feet, but it is simply a lot of fun! It is a great skill for any musician to have even if they do not plan on pursuing jazz. Improvisation can be, and is, used in any number of mainstream styles. It is a great tool for members of any band to have, and it can lead to some great song writing as well. 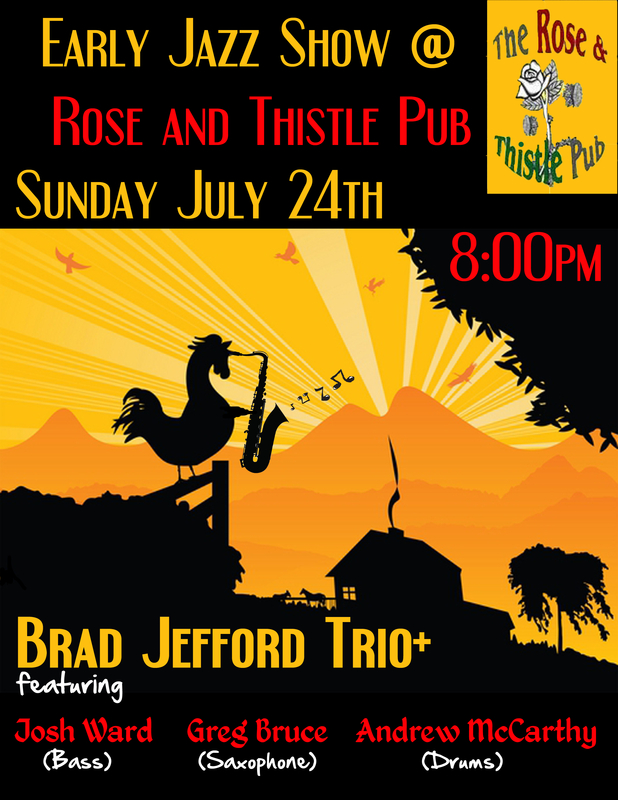 Jazz is a wonderfully unique genre of music with so many skills and opportunities to offer a young budding musician, but sadly it seems that schools and post-secondary institutions alike in Newfoundland do not see the value in this style of music. While a lot of schools in Newfoundland do now offer jazz bands as well as a limited amount of jazz in other school ensembles, in my opinion it is still not given the recognition as a teaching tool that it deserves. It has been my experience that some high schools for example will offer a jazz band, but will not allow students to obtain a credit for it as a course; students will only receive credit if they participate in the concert band. This absolutely should not be the case. Speaking personally as a saxophone player who has played in multiple concert and jazz bands, I found that my skills improved far more while playing in my high school jazz band than they did throughout many years of playing in concert bands. A similar trend is seen even throughout post-secondary institutions. Even though Newfoundland is home to many great jazz musicians and ensembles, it remains impossible for a musician to get a degree specializing in jazz music. This to me is astounding, considering that our neighbours in NS have one of the best jazz programs in the country at St. Francis Xavier University. Music is certainly ripe throughout Newfoundland and Labrador in all forms: classical, pop, rock, folk, jazz, etc. and it is certainly not hard to get an education in music in this province. However, the merit of jazz music is still being overlooked time and time again. Jazz is an extremely beneficial genre for musicians of any age to take up. With the opportunity to learn so many great techniques and skills that can transfer over into real life, it would make sense for any musician no matter how old or experienced to take up jazz. “What if you don’t have an interest in jazz?” you may ask. Not to worry, jazz is a constantly expanding genre of music. With so many sub-styles and branches off of jazz, there is sure to be something for everyone. Taiko, meaning “big/fat drum” in Japanese, refers to a traditional and very interesting drum which is still used today in Japan and around the world. The Taiko drums and drumming tradition was thought to have been possibly brought to Japan from China or Korea along with the Buddhist faith. Despite this, as the drums began to develop they were regularly made and improved on in Japan. These instruments began to be known as being a very traditional and unique Japanese instrument. After hearing the word Daiko many people often get confused as to why this word is being used instead of Taiko. However it is actually quite a simple concept; “Daiko” is used as a suffix used when speaking of a type of Taiko drum, Taiko drum group or a style of Taiko playing when a compound word is being used. When being used in a compound word the “T” sound changes to a “D” sound. The construction of these drums is just as interesting as the drums themselves. Taiko drums are traditionally made using only one piece of wood for the shell of the drum. You may be wondering how this could even be possible. These drums were traditionally made by hollowing out a tree trunk. Some of the trees, used for the bigger instruments, needed to be thousands of years old. The largest of these instruments known as an O-daiko could exceed 3 feet (91cm) in diameter and could weigh more than 100 kilograms (220 pounds). When it comes to the head of these drums animal skin is used (much like most hand drums). The most popular skin to be used is that of a young Holstein bull. 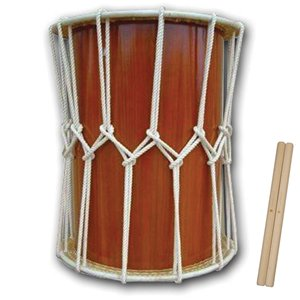 For the larger O-daiko drums a full hide of the animal is needed to make the drumhead. The heads of Byou-daiko drums are fastened to the drums by stretching the head over the top and then tacking (with some sort of nail) the head to the side of the drum. 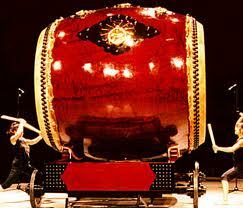 The heads of Shime-daiko drums, however, are kept on with a rope; these days a bolt or other device can be used. This allows the drum head to be tuned, which is very convenient when transporting the drums to places with varying humidity. The first Taiko drums were believed to have been used as an instrument of war as they were the only instrument that could be sounded and heard throughout an entire battlefield. Often times a soldier would strap a Taiko drum onto his back (like a backpack) and two other soldiers would follow him and play the drum on either side to ward off and scare the opposing army. Another use for the Taiko drum on the battlefield was to send commands to the soldiers of the army who were scattered across a battlefield. In this way this drum was obviously very useful due to its loud volume. Along with being used on the battlefield the Taiko drum was often used for religious ceremonies and also to signal entire communities of an oncoming storm or the beginning of the traditional hunt. 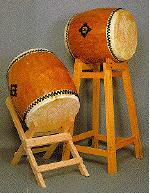 Nowadays Taiko drums are most often played in ensembles containing only Taiko drums. In these ensembles you will find many different kinds of Taiko drums ranging from very small drums to extremely large ones. These drums allow the artist to express themselves in a way which is very unique to their style of music. This year at the Wreckhouse International Jazz and Blues Festival we will be hosting a concert by Uzume Taiko. This group from Vancouver has experienced success both nationally and internationally. On the international stage “Uzume Taiko has performed throughout the United States, Belgium, the Netherlands, France, Germany, the United Kingdom, Ireland, the Channel Islands and Japan”. This show is sure to be a spectacle of drumming! Uzume Taiko will be performing on July 16th at 8:45pm at the Masonic Temple.